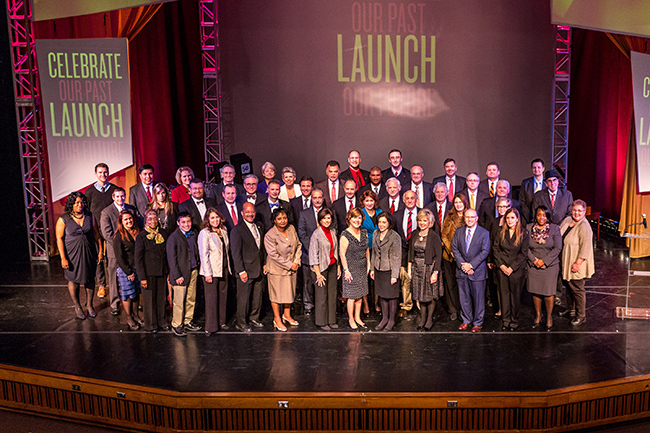 In celebration of its 50-year milestone, Montgomery County Community College honored 50 exceptional alumni and launched a comprehensive fundraising campaign to raise $9 million for student scholarships during a special award ceremony on Nov. 14. Since 1964, Montgomery County Community College has opened the doors of education to students from all walks and stages of life andsupported them on a path to success and achievement. More than 55,000 of the College’s alumni have gone on to higher education and/or pursued careers in a variety of professions from attorney to artist, cardio perfusionist, business leader, architect, judge, Major League umpire and others. 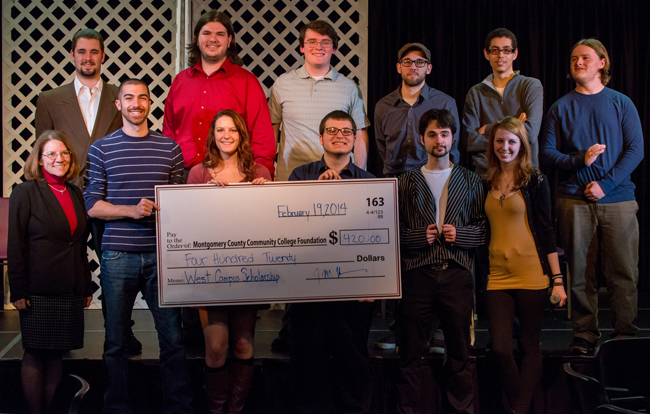 To ensure that future students continue to have these opportunities, Montgomery County Community College set the bar high with a goal of $9 million for its first-ever comprehensive fundraising campaign for student scholarships. 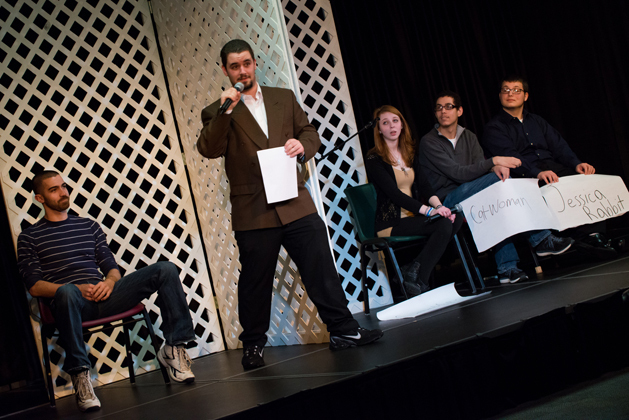 The campaign has been in a “quiet” fundraising phase for the first 18 months, during which time the College’s Foundation Board and Futures Rising Campaign committees raised $6 million. Scholarships provided the entryway for many of the College’s alumni, including science teacher Peter Grove (1974), whose life was transformed when he earned his associate’s degree on a full scholarship. He then transferred to the University of Pennsylvania for his bachelor’s and master’s degrees, and has taught science classes for 27 years, transforming the lives of his students at Friends’ Central Lower School in Wynnewood. As part of the anniversary program, the College presented the President’s Award to the Pennsylvania legislative delegation and Montgomery County Commissioners, whose actions honor the spirit of the Community College Act and support the belief that the College serves as a vital stepping stone to economic well-being. Their support has enabled the development of state-of-the art facilities at two campuses, the Culinary Arts Institute, a Municipal Police Academy and the University Center, where students can pursue bachelor’s, master’s and doctorate degrees with seven regional colleges and universities. With these facilities and a future Health Sciences Center renovation, Montgomery County Community College provides high-quality education in relevant programs that paves the way for transfer to four-year institutions or employment as dental hygienists, nurses, police officers, radiologists and other high-demand professional careers. Today, many students choose Montgomery County Community College as a way to minimize student loan debt, as they earn their baccalaureate degrees. For Nicola Manning-Davenport (2007), Montgomery County Community College was the place where she turned her life around. Starting as a single mom, she enrolled in a computer class, and then persisted until she earned her associate’s degree and a full scholarship to Bucknell University, as part of Bucknell’s Community College Scholars Program. After earning her bachelor’s degree in Economics, she was hired as a Pennsylvania Information Management System Client Support Specialist at the Central Susquehanna Intermediate Unit. Now, after completing her master’s degree, she is thinking about pursuing her doctorate. 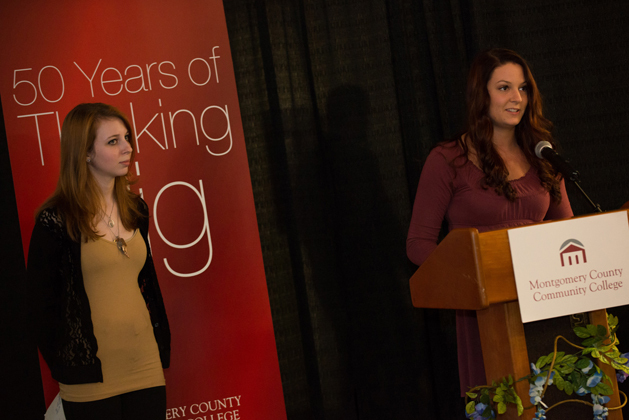 “I was nurtured at MCCC, and it’s where I became a lifelong learner,” she says. Every year, the College offers these opportunities and more to the 25,000 students enrolled in its degree and certificate programs. However, last year students’ unmet needs added up to almost $24 million and resulted in oppressive loans or as a complete barrier to enrollment. For more information about the College’s 50th anniversary, visit mc3.edu/50. 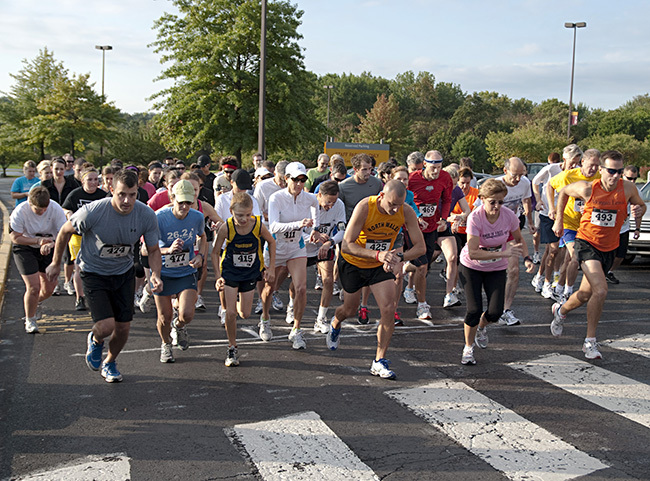 Mark your calendars and register now for The 2014 Mustang 5K Run Strides for Student-Athletes and Fitness Walk on Saturday, Nov. 1, at 8:30 a.m. Proceeds will benefit the Mustang Fund which provides additional financial support for our deserving and talented student-athletes. Hosted by the Montgomery County Community College Athletic Department and Exercise Science and Wellness students, the event will take place on the grounds of our beautiful Central Campus at 340 DeKalb Pike, in Blue Bell. Check-in starts at 7:30 a.m., and the race/walk begins at 8:30 a.m. The course consists of flat pathways around the College’s beautiful Central Campus. But this is no ordinary 5K Run. It’s a celebration, as this year’s 60’s theme will help to celebrate the College’s 50th Anniversary. Join us for a 5K Run that includes 60’s music and games. After the Race you will enjoy trivia, giveaways, and prizes, including “trophies” for the best costume. Come dressed to represent your favorite time in the 60’s. The Mustang 5K is chip timed by Run the Day for the serious runner but is also tailored to suit runners of all levels. Note, you are not required to wear a costume; but it will add some fun and excitement to the day. Register now! Entry fees are $25 for general registrants, $15 for students and $5 for children, 12 years and younger. Entry fees increase for walk-up registrations on Nov. 1. As an incentive, t-shirts are guaranteed to the first 200 registrants or runners registered by Oct. 17. Sponsorship opportunities are available through Oct. 17. Sponsors’ names and/or corporate logos will be prominently displayed on race materials. Anyone interested in sponsorship or even donating items for the event should click here for more info. Prizes will be awarded to the first, second and third place overall male and female winners. Awards will also be presented to the top runners in several categories, including male/female age groups. Join the 2014 Mustang 5K Run Strides for Student-Athletes and Fitness Walk and help to celebrate the College’s 50th Anniversary while raising funds for our student-athletes! Register Online, or click for a Mail-In registration form. 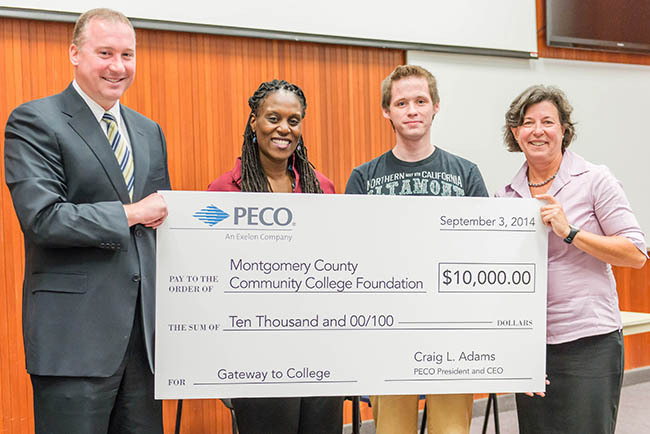 Montgomery County Community College received a $10,000 PECO grant on Sept. 3 to support the College’s Gateway to College program. The funds will be used for textbooks, transportation, meal subsidies and other costs not covered by the program. Gateway to College is a national initiative that helps students who have dropped out of high school or are not on track to graduate to earn a diploma and college credits. In November 2012, MCCC was one of only 43 colleges in the country and only the second college in Pennsylvania selected to participate in the Gateway to College National Network. 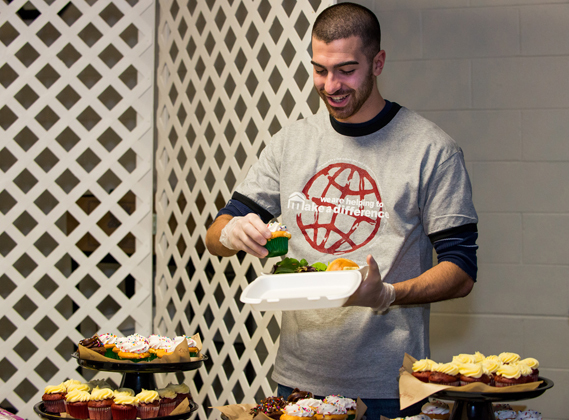 In September 2013, the College launched the program, which is held at the college’s Central Campus in Blue Bell and West Campus in Pottstown. 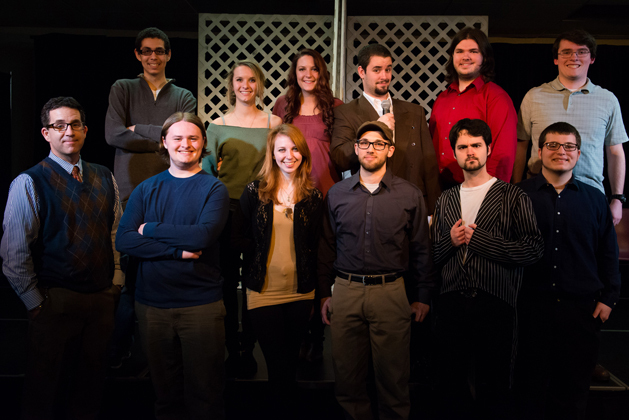 In its inaugural year, the Gateway program had 50 participants and 11 graduates. This year, 55 students are enrolled, including returning and new students. Eighteen school districts and the Montgomery County Workforce Investment Board partner with MCCC and refer students for the program. For Upper Moreland High School student William Dobnak, the Gateway program gave him a second chance to achieve his true potential. 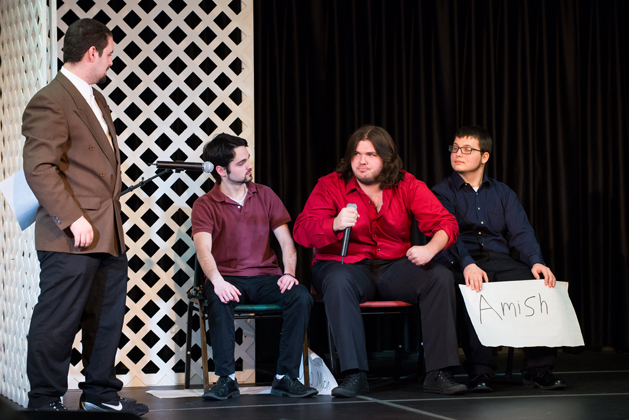 The college environment and caring professors and staff made all the difference, he said, noting that his GPA after his first term in Gateway is 4.0. For more information about Gateway to College, contact Director Keima Sheriff at ksheriff@mc3.edu. 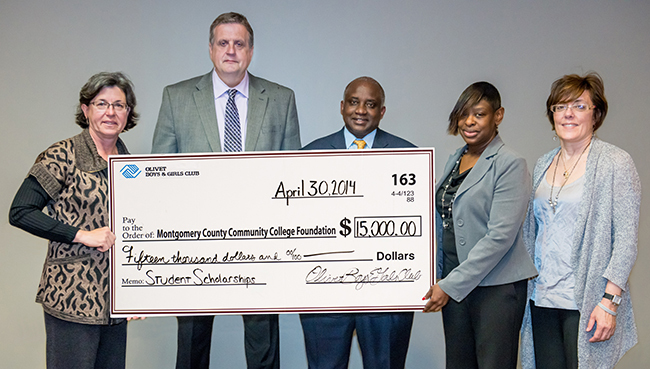 The non-profit organization, the Olivet Boys and Girls Club of Reading and Berks County, recently presented a $15,000 check to the Montgomery County Community College Foundation for student scholarships. The Foundation is adding an additional $5,000 to the scholarship program. The combined scholarship funds of $20,000 will enable youth at the Olivet Boys & Girls Club’s Richard J. Ricketts Center in Pottstown to enroll and take classes at Montgomery County Community College. 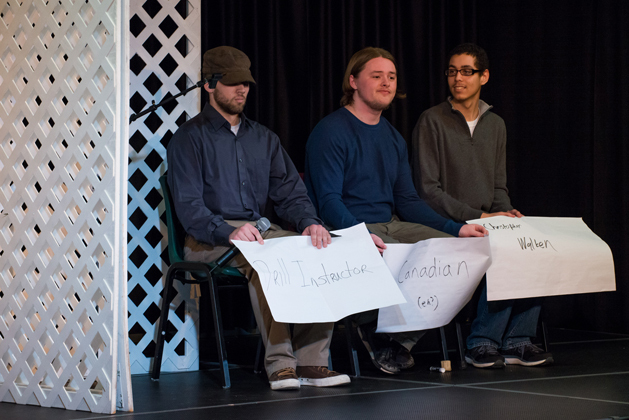 Currently, three students are receiving the scholarship funds and eight additional students have applied. The scholarships are used to cover the remaining costs of tuition and books not covered by federal Pell or other grants. 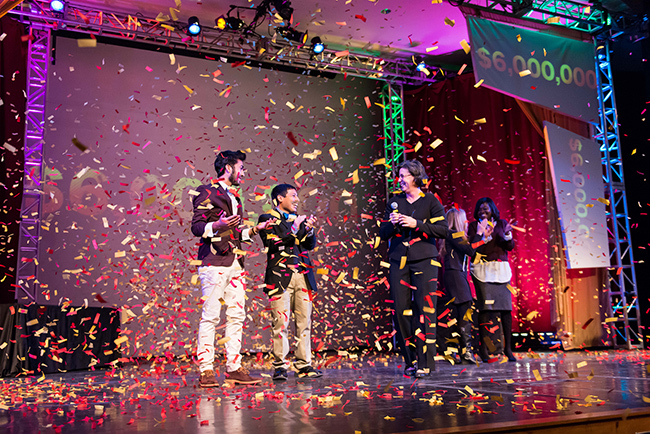 “We have overlapping missions to bring deserving students through the higher education pipeline and have them graduate without debt,” said College President Dr. Karen A. Stout at the check presentation. The Olivet Boys & Girls Club has been serving the youth of Reading, Berks County and beyond since 1898 when it was started by William McCormick. Olivet is a chartered member of the Boys & Girls Clubs of America. It incorporates many of the national organization’s youth programs into the local branches, including at the Richard J. Ricketts Center, 640 Beech Street, Pottstown, which is under the direction of Janice Burgess, the club director. The College has had a growing relationship with the Olivet Boys and Girls Club at the Ricketts Center. 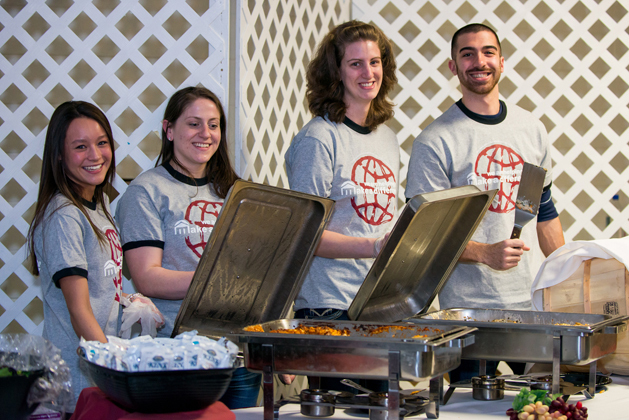 For the past three years, students and staff of the College have volunteered to help at the Center on Martin Luther King Day of Service. Additionally, students have volunteered on their own to help at the Center. Keynote Speaker Nance K. Dicciani, chemical engineer and business leader. Golf is often known as the business world’s game—a time for networking and negotiating. To help get more women involved in this game and to raise funds student scholarships and programs, the Montgomery County Community College Foundation annually hosts the Leading Women Symposium and Golf Experience. Open to all women in the community, this year’s event will be held on Monday, June 2, at Talamore Country Club in Ambler. To register, visit mc3.edu/lw. 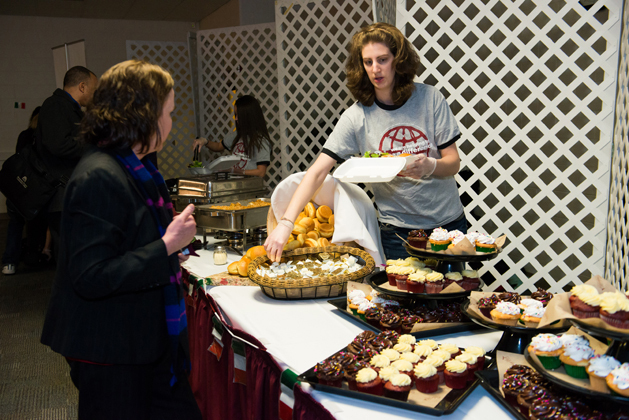 On the day of the event, registration will be held from 9:30-10 a.m. followed by the brunch symposium from 10-11:15 a.m. Golf begins at noon and will be played in an 18-hole, team scramble/best-ball format and is designed for those who have some golf experience. A reception and awards ceremony will follow at 4:30 p.m. The proceeds support scholarship, career and leadership development programs for deserving female students at the College. Leading Women’s Award honoree Regina Lowrie, entrepreneur and business leader in the financial services and mortgage industries. For the brunch symposium, the keynote speaker, Nance K. Dicciani, will be discussing her experiences as a chemical engineer and business leader. Dicciani studied chemical engineering and earned a bachelor’s degree at Villanova University in 1969, a master’s degree at the University of Virginia in 1970, and her doctoral degree from the University of Pennsylvania in 1977. In 1987, she earned an MBA from the Wharton Business School of the University of Pennsylvania. 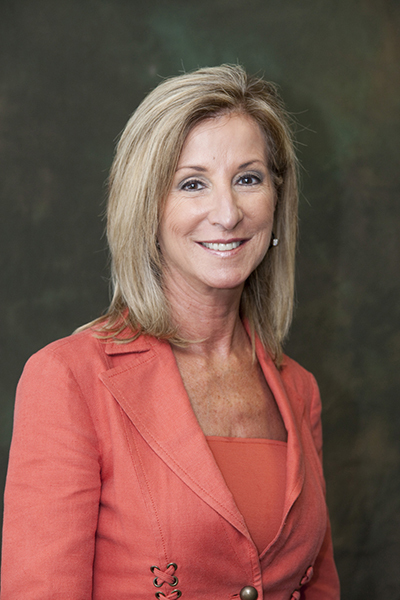 In 1977, Dicciani became an engineer with Air Products and Chemicals Inc., and in 1988, she was promoted to the position of director of commercial development. In 1991, Rohm and Haas hired Dicciani as business director for its Petroleum Chemicals Division. By 1999, she became the senior vice president and business group executive of Chemical Specialties and director, European Region, including Europe, the Middle East and Africa at Rohm and Haas. 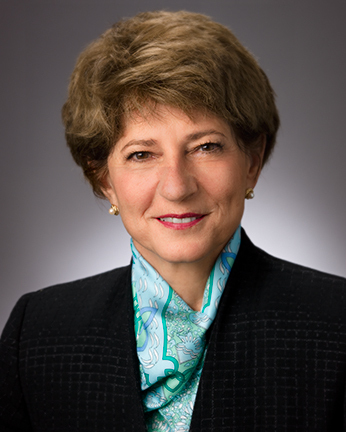 In November 2001, Dicciani became president and chief executive officer of Specialty Materials, strategic business group of Honeywell, where she retired in 2008. Throughout her career, Dicciani has been recognized for her work and has received numerous awards, including the “Achievement Award” from the Society of Women Engineers. Twice Forbes magazine named Dicciani in its list of “The World’s 100 Most Powerful Women,” and in 2006, Chemical Business listed her as one of the “Top 40 Most Important People in the Chemical Industry.” Also in 2006, President George W. Bush appointed Dicciani to the President’s Council of Advisors on Science and Technology. In addition to the keynote presentation, the Foundation will present the 2014 Leading Women’s Award to Regina Lowrie, a business leader and longtime advocate of the College. Lowrie is the founder, president and CEO of RML Investments Inc., d/b/a RML Advisors. Established in 1994, RMLInvestmentsservesthefinancialservicesindustryasanadvisorandconsultant, providing a broad range of services to assist clients with financial planning. Lowrie, a Certified Mortgage Banker, has been a leader and entrepreneur for more than 30 years in the financial services and mortgage industries. Additionally, Lowrie has served on the College’s Board of Trustees since 2009 and was elected treasurer in 2011. She has been a member of the College’s Foundation Board of Directors since 2003, serving as chairperson of the “Courage to Create” capital campaign in support of the fine arts. In April 2014, she received the American Association for Women in Community Colleges’ Trustee of the Year Award. For information about the Leading Women Symposium and Golf Experience, email foundation@mc3.edu or call 215-461-1139. 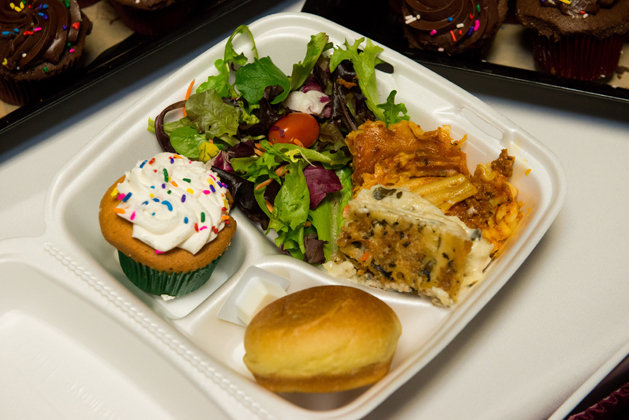 Student leaders at Montgomery County Community College’s West Campus in Pottstown raised $420 during their 13th Annual Lasagna Dinner on Feb. 19.